This most recent installment of Kay Hooper's Bishop/SCU series was actually a fairly weak one compared to a lot of the earlier books in the series. In fact, with the exception of a few factors or story events that still made the books enjoyable to me, the past few books in the series have been slightly disappointing, if only because they don't seem to have that intense excitement that a crime thriller should have. As was typical of the last three (maybe even the last six) Bishop/SCU books I read, there has been a lot of repetitive discussions, monologues, and a lot of text book style back history being given within each book. It got tedious after a while. What I will say about these books, however, is that at least the crime/murder mystery aspect is written well. I almost never figure out the few secrets or the ultimate culprit; except that oftentimes there is either a "Universal Evil" who is controlling a known suspect, or the mysterious perpetrator's identity comes out of left field in that way that couldn't have been figured out by readers at all, if only because there had never been a thorough enough investigative process presented, or no suspects had been mentioned before, period. It really DOES take the fun out of murder mysteries when there was never any way of being able to play detective along with the characters. Another aspect I'd been becoming a little disappointed in is that the romances have become non-existent if even there at all. Granted, a good book does NOT require a love story within the story's scope to be a good book or to be enjoyable. 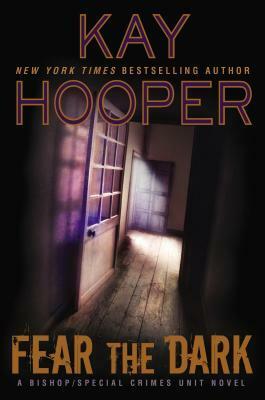 But I went into this series with the impression that it was filed into the Romantic Suspense category, so it becomes slightly disappointing to me (who has become quite fond of that genre) that the series is slowly diverging from that category into more of a Paranormal Crime Thriller than anything else. The romances are still there, but so subtle that they may as well NOT be there at all. Which pretty much just means I need to shift my approach to reading new installments in this series if I want to continue enjoying them. Overall, this had been an enjoyable book as far as atmosphere and criminal mystery--the setting of the story got somewhat creepy at some moments, even if not spine-tingling eerie. But I really DO feel like the characters are becoming increasingly identical in narrative POV voices, and almost entirely useless since their paranormal psychic skills didn't get them anywhere the mysterious kidnapper didn't let them get to. On top of that, I'm not even entirely sure I know what happened in this book aside from what the summary blurb mentions about people disappearing into thin air with no clues, about the dark being a factor in their disappearances (hence the title of the book, Fear the Dark), and about our local law enforcement and Bishop's Special Crimes Unit sending in aid. Because after all of that setup happened, the rest was really just a blur of dragging investigations, a lot of sitting around and contemplating possibilities and formulating ideas about what might have happened... and then The End. I'm sure much more happened than that, but to me, it was very much all a blur. Robbie looked at the piles of folders on their round table and sighed. "Who was it that said we'd be a paperless society shortly after computers came along?" "I don't know," Sarah said, "but he was obviously an idiot. Even when we do store information on a computer, we always have hard-copy backups. Always. Boxes and boxes of files in the basement." Robbie nodded. "For the zombie apocalypse. I'm the same way about my books. Buy the e-versions for my tablet, but always buy a hardcover or paperback copy as well, for the shelves." First of all: This book is taking a bit longer to read than I had anticipated, if only because I've been busy. However, it is standard Kay Hooper story-telling, and so I can't deny that there is still some draggy moments, but overall, I'm enjoying it so far. Secondly, a personal side tangent: The whole "paperless society" comment just made me giggle. My co-workers and I have had this exact discussion before (except it was a little more extended). Our hospital is on its own path to become a paperless organization by making everything available on a network. This whole paperless mission has actually been going on for the past five years (as far as I know) around when I first started working in the lab and the printers were set-up to only print any test results that were abnormal rather than all test results ever run. Slowly, we started limiting the use of paperwork in other areas of the laboratory and other things as well. As for the clinical side of things, with the click of a button on a computer or even a tablet or smartphone, doctors and nursing staff are able to view patient test results readily; doctors can create orders no matter where they are just by accessing the hospital's networked programs... or so that's the ideal theory. I know little about technology, but I understood that this was the higher up's way of trying to "go paperless" and maybe save a buck or two here and there. It's why we implemented a whole new hospital information system with new features and remote-friendly access for physicians. Again, in theory, it's a good idea--cheap, easy, convenient... innovative? Except for the fact that I'm not sure we really are generating less paperwork, because every two to three months, we still send large boxes full of patient test results and order requisitions, instrument print-outs, quality control charts and graphs and statistics... etc., to the salt mines for storage. However, that whole easy, convenient new information system thing isn't so easy and convenient after all and we find ourselves filing more paperwork when the clinical staff can't figure out how to order a test via their computer program and so opt to send us a paper requisition instead. I don't know about the rest of the hospital, but I sometimes feels like the lab is still generating huge amounts of paperwork--fortunately, we are also a company trying to "go green" and are recycling everything that is recyclable and shredding anything confidential that we don't really need to keep. So yeah... the above quote from the book kind of gave me the chuckles. In fact, now that I think about it, I kind of find it amusing that Kay Hooper has been incorporating modern-day technology and modern-day social culture into her latest books. I believe there had been a mention of "There's an app for everything!" in one of her Haven sub-trilogy books and I might have chuckled about that too if the guy who was saying it hadn't been our mysterious, evil serial killer. My final comment: Robbie is definitely a woman after my own heart. I kind of sort of have the ideals to do the same thing: Buy the e-versions of books for the convenience of reading on a phone or table or e-reader with the ability to access them wherever there is internet and a computer, but at the same time buy the hard-copy versions of my more favorite books as well, for the physical shelf. Because at least if the internet ever crashes, causing world-wide panic and dumping us into one of those standard YA post-apocalyptic situations, I'll still have all of my favorite books in physical form on a shelf. This update was originally posted at Ani's Book Abyss / BookLikes in November 2015.